Flu season may leave your child feeling feverish, so as the season heats up, don't get caught empty-handed and having to make that midnight run to the pharmacy. 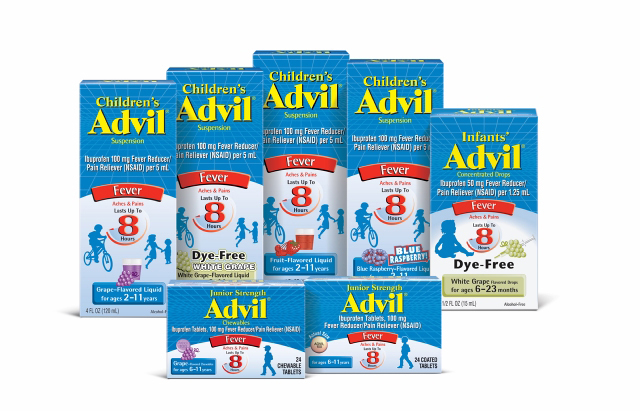 Children's Advil® is there to offer the relief you and your child can depend on! Children's Advil® provides up to 8-hours of fever relief in just one dose, relieving fever faster and keeping it down longer to help kids get back to feeling like kids again. Click here for an online coupon link for Children's Advil. 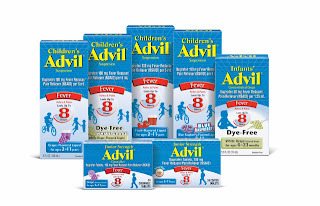 Dye-free Infants' Advil® is available for children ages 6-23 months and Children's Advil® is available for ages 2-11 in four great liquid suspension flavors including Grape, Blue Raspberry, Fruit and Dye-Free White Grape, as well as convenient Grape Chewables. For more information, visit at www.childrensadvil.com. Disclosure: This link and information have been provided by Advil through MyBlogSpark.